This International Women’s Day, we join the world to celebrate women and refocus our influences and resources towards achieving the vital goal of gender equality. It is also an opportunity to consider how to accelerate the 2030 Agenda, building momentum for the effective implementation of the Sustainable Development Goals (SDG), especially goal number 5 which is to achieve gender equality and empower all women and girls. This has been a major discussion for the last two decades. Unfortunately, data shows that the gender gap is widening, and suggests there desperately needs to be new ways of thinking if the world will succeed in closing this gap. Progress has slowed and plateaued, instead of taking 170 years to close the gap at the current rate of progress, it is estimated that gender parity across the world will take over two centuries, 217 years to be exact. It is for this reason we must press for progress in our lives, communities and the nation. Women from all spheres work tireless, sacrificing every day to get things on track in different sectors. Whether your work is lauded publicly or is felt quietly, be rest assured the history will remember you for good. As we press for progress, we must truly support one another. It is quite common for younger men to get support and sponsorship from older, more established men in the workplace, a necessary tool for career advancement. Successful women haven’t extended this same privilege to the younger females with whom they work. If we will get more women into positions of leadership, we must make space for them and guide them into these spaces. We must always respond with consideration for the unique challenges every woman faces in the workforce when we interact with them. We also need more men to support and drive gender equity. The society need to change its thinking and start asking the critical questions that will drive us closer to gender parity and unless men join their voices with ours, we will never truly achieve the equity we so desperately desire. It’s about time for us to stop questioning our abilities as women if we have proven over time that we can. I celebrate myself & female colleagues at RED. 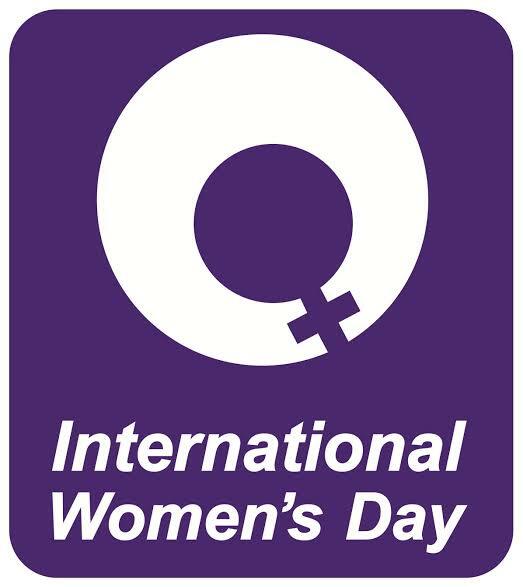 I celebrate every girl, every woman young, elderly and in between, pressing for progress not only today but every day. Bukonla oversees daily operations at RED, talent management and responsible for the implementation and effectiveness of all processes (internal and external). Bukonla is also responsible for project development and project implementation of The Future Projects’ Programs including Aiki.Ng (an online employability portal in partnership with Microsoft, to help improve the employability of young people), The Future Enterprise Support Scheme (TFESS) which has produced talents in Entrepreneurship, Technology and Creatives as well as The Future Volunteers Program where she coordinates and manages well over 500 volunteers spread across all 36 states and Federal Capital Territory in Nigeria. Consistently for five (5) years, she has managed the internal operations of The Future Awards Africa overseeing the nominations process, research, production and media. She is a seasoned administrator with experience in project management, human resources, research/data analysis and media for enterprise strategy and execution.